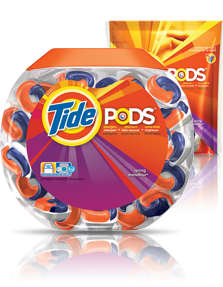 Hurry: Free Sample of New Tide Pods Laundry Detergent Packs! Hurry over Facebook and get a FREE sample of Tide Pods – a new product that includes detergent, stain remover, and brightener in one easy to use “pac”. Sample should arrive in 4-6 weeks. I just put in for them…sounds cool!